Ultimate Holiday Gift Guide for Foodies includes more than 46 items arranged by price. Choose unique, elegant, personalized gift items for your loved ones! This week there will be no recipe (unless you are subscribed to my email list, then you’ll get one by email and it will rock your world, believe me! ), but instead I decided to share with you some of my favorite kitchen things that also happen to be great gifts for those who are into cooking (or eating). And who isn’t, right? I arranged them by price, which might make it easy for you. I also included various offers and discounts to make sure you get the best offer! Since all the malls are overcrowded long before Christmas and I’m heavily pregnant, this year I started to appreciate online shopping. Traditional gift shopping is exhausting these days and it takes so much time! Online shopping is not only more convenient, but also often cheaper, since online shops don’t need to rent expensive retail outlets and hire the staff. They work on a larger scale that helps them get profits even though they sell each product cheaper than the traditional shop. Besides, you don’t need to go anywhere, just sit at home in your cozy PJ’s with a cup of hot tea or coffee (or mulled wine?) and enjoy. I can only see benefits in online shopping, with the most important one being: YOU SAVE MONEY. If you are subscribed to Amazon Prime, you’ll get your gifts shipped FOR FREE within 48 hours! For some goods and locations you can even get free same-day delivery. If you aren’t subscribed yet, they have a free 30-day trial (you can unsubscribe afterwards, otherwise it costs 8$ a month). Last year I wrote a post about 15+ Homemade Christmas Food Gift Ideas, which I encourage you to check as well. I selected the best homemade Christmas food gift ideas for your loved ones: Cookies, condiments, jams, macarons, potpourri, pickles, snacks. Homemade gifts are great but if you have no time, I totally understand and I got you covered. Below I share some of my favorite kitchen things that make for great holiday gifts. Flavor Bible ($22.49) and Vegetarian Flavor Bible ($26.32): These books are must have for people who like to cook! I own a Vegetarian Flavor Bible and I can say that I use it on a daily basis when creating recipes. It has thousands of ingredients and their flavor combinations arranged alphabetically. It couldn’t be more helpful and easy to use! What seasoning to use with a certain dish wouldn’t be a question any more! This book has all the answers I’ve even needed in the field of flavor pairings. Moreover, this book was an inspiration for me when I was writing my free E-book ‘How to Cook Without a Recipe’, where I explain principles that lay behind recipe creation. If you haven’t downloaded it yet, it’s your chance, since I’m giving it away for free. Go ahead and download! What to Drink with What You Eat ($24.18): Another amazing book for foodies who like wine and beer. It’s based on expert advice from America’s best sommeliers and includes information on matching food and drink, such as wine, beer, spirits, coffee and tea. This book will turn the foodie in your family into a world-class sommelier, able to pair any cuisine with a compatible choice! Copper Measuring Cups and Spoons ($30.93): They are irreplaceable in the kitchen! It’s one of those essentials every foodie needs. These durable copper measuring cups and spoons are made for easy scooping and leveling. They have engraved size markings including metric/ml! Cuisinart Coffee Grinder ($38.27): This gift would be perfect for everyone who loves coffee. Cuisinart is known for its quality, so this automatic coffee mill is not only elegant and stylish but also durable. It has a 18-position grind selector, from ultra fine to coarse. It’s the best coffee grinder you can get for the price! Turquoise Bread Bin ($38.50): This durable, powder-coated steel bread bin will keep bread fresh longer! It has small holes at back that allow air to circulate. Impressive and stylish design makes it an awesome gift for a food lover! The Gourmet Trunk ($49): This trunk is packed with premium gourmet food items from several small-batch brands. Each product comes with chef-inspired recipes printed on easy-to-use cards. Personalize it with a free custom gift card! What is inside? Rich Tri-Tip marinade for meat or vegetable stir-fries, Parmesan Mediterranean veggie roaster, artichoke bruschetta seasoning, peach & lavender preserve (70% real fruit! ), herbs de poulet (dried sage and tarragon with a hint of curry) and luscious, individually wrapped, handmade almond caramels. Check out other trunks with wonderful food gifts. Prices start from $29.99! A nice bonus: New customers get a $10 credit! Chalkboard Cheese Platter ($49.95): Every foodie has to have one! This elegant custom cheese board is perfect for small gatherings or picnics. It comes with three cheese knives that sit within the board. Get your loved one a unique gift with a personalized look! Browse here for more custom kitchen items such as aprons, cutting boards, kitchen towels, tablecloths, table runners, cute bowls and mugs, and more. Prices start from $15. ATTENTION: Get up to 60% Off + 20% Off Sitewide with the code: CYBRWEEKSALE that expires on 12/02/2016 at 11:59 PM PST. Hurry up!! Cake Plate ($65): This modern porcelain cake plate is perfect for bakers! It will showcase cupcakes, cookies or savory treats in a lovely way. It costs $65 but you can get a 20% discount with the code: CM2016 until 11/29/2016 or browse for other coupon codes. Minted is a lovely shop with excellent quality designer products. I especially love their table linens, custom holiday menu cards and custom kids teepees! So cute! Cast Iron Dutch Oven ($58.21): Wonderful classy gift for cooking enthusiasts! This durable Dutch oven will serve your family for decades, gathering your loved ones around the holiday table. It’s great for slow-simmered soups, braises and roasts, as well as other winter and holiday meals. Plenty of colors and sizes to choose from! KitchenAid Nonstick Skillet ($41.99): This skillet is my absolute favorite. Every homecook has to own a good quality skillet, and this one is the best choice. I admit that I used to buy cheap frying pans in Ikea, that are neither durable, nor really nonstick. It all changed since I purchased my first KitchenAid skillet. Now I want a 10-piece cookware set that includes 8″ Skillet; 10″ Skillet; 1.5-Quart Saucepan with Lid; 3.0-Quart Saucepan with Lid; 3.5-Quart Saute Pan with Lid; 8.0-Quart Stockpot with Lid. They are all oven- and dishwasher safe, as well as induction capable and nonstick. You can’t really expect more from cookware. This set is just perfect! Retro Kitchen Scales ($44.71): Don’t they look cute? These retro style mechanical scales will make every worktop look pretty! Besides, they are extremely functional. Nested Stoneware Batter Bowls ($109.99): I love beautiful artisan pottery! This durable handcrafted pottery set includes three nested batter bowls to mix just the right amount, each with a spout for easy pouring. Check other beautiful cookware by Modern Artisans for more pottery options. Staub Small Fondue Set ($128.95): Melted cheese served in a pot over a little stove heated with a spirit lamp sounds like a fun way to truly enjoy cheese with your loved ones this winter. Eat it by dipping diced bread into the melted cheese using long-stemmed forks. Look no further than this sturdy and stylish cast iron mini Fondue set from Staub. You can also use it for chocolate! It will make a great Christmas gift your family will enjoy for years. Lifetime Access to Minimalist Baker Food Photography School ($99): Foodies love to take pictures of their food. Here is a wonderful opportunity for a foodie in your family to improve their photography skills! This amazing Food Photography school created by The Minimalist Baker, has more than 13o video tutorials, teaching composition, styling, light, editing and so much more! Highly recommended! KitchenAid Food Chopper ($115.20): Compact and convenient food chopper for everyday use in the kitchen, which is QUIET! It also has a ‘puree’ function, two-speed regime and a durable stainless steel blade. Choose from 17 different colors for a wonderful personalized gift for your foodie family member! Cuisinart Food Processor ($99): This food processor is not too pricey but it’s very powerful and has a lot of functions. It includes different chopping blades, slicing and shredding discs, small and large pushers, detachable disc stem, compact flat cover, spatula, and recipe book. You can even knead bread dough with it! This food processor is one of the best for the price! Your foodie family member will love it! Multi-Functional Pressure Cooker ($109.99): Great appliance for busy cooks: make soups, braises, roasts, etc in 30 minutes! A pressure cooker works on a steam pressure, which helps food cook faster and promotes caramelization and browning in an amazing way – the flavors created in a pressure cooker are deep and complex, unlike regular steamed foods. KitchenAid Blender ($149.99): Easy to use blender for the most picky cooking enthusiasts! Five speeds, ‘crush ice’ and ‘pulse’ modes, beautiful design and durability! KitchenAid quality at its finest. Moreover, it’s dishwasher-safe! Canning Course for Busy Beginners ($197): This canning course is created by canning expert and a fellow blogger Jenny Gomes. It covers everything you need to know about canning. If you have a canning enthusiast in your family, I’m sure they will find it super useful! They would get step by step video lessons, clear instructions, fool proof recipes, and reap the benefits for their health and wallet from an expert! Jenny generously offered a 20 % discount on her course for you, my readers! Just use the special price coupon code: ELENASREADERS and enroll to the course before Christmas 12/25/2016! KitchenAid Stand Mixer ($271.49): The best stand mixer ever! 20 different colors, 10 speed settings, 12 attachments (including cheese shredder, flat beater, dough hook, wire whip, pouring shield and pasta attachment). It’s durable, powerful, stylish and dishwasher-safe! Simply THE BEST! 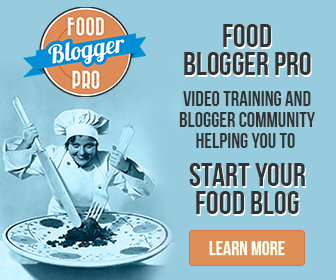 Food Blogger Pro Yearly Membership ($279): If you have a food blogger (or a person who thinks about starting a food blog) in your family, THIS is a perfect gift! I wrote a post How to Start a Blog and I can’t recommend Food Blogger Pro enough. It helped me to develop my blog and monetize it. I only regret I didn’t join earlier! It’s well worth the money. They have a limited enrollment open every couple of months, but you can sign up for the waiting list right now! That way you will receive an email announcement when they reopen. I have a 10% discount coupon for you! KitchenAid Convection Countertop Oven ($274.73): Full-size oven performance on countertop? Sounds awesome! Great gift for busy foodies to use for baking pizza, broiling a side dish, keeping an already cooked dish warm or toasting bread. Nine pre-programmed functions, 12-inch capacity, beautiful retro design and scratch resistance make it a perfect countertop oven! This holiday gift guide has more than 46 holiday gift ideas for foodies, so I hope you will find something for your foodie family member! Elena, thanks for putting this together! There are so many things I like here for Christmas – I will have to save the list and come back to it later. I especially appreciate your review on “flavour bible”. Happy holidays! Thank you, Yang! So glad you like my guide! The Flavor Bible has been so helpful, I can totally recommend it to you! Happy holidays to you too! I love this gift guide so much… and the color scheme is to die for! What a perfect list! I love the stoneware batter bowls!!! Everything I want is right here!